Have you eaten breakfast yet this morning? If not, you better go grab an apple before you start reading…it’s okay, I’ll wait. 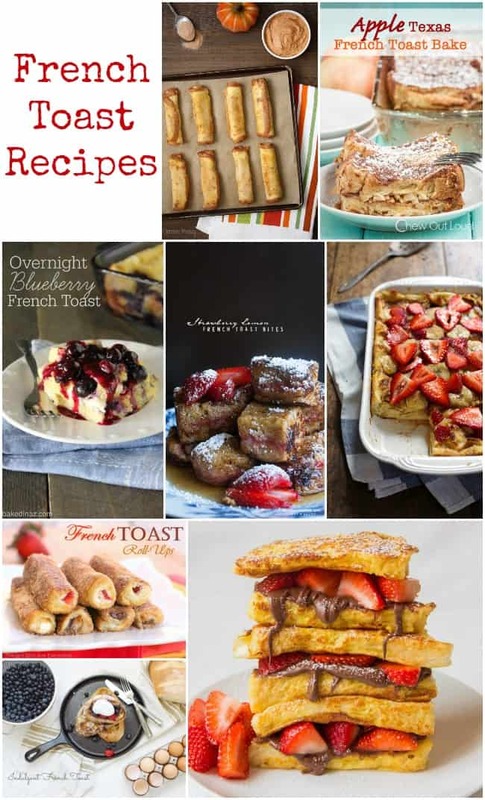 This collection of French Toast recipe ideas is sure to leave you hungry so you won’t want to read this on an empty stomach. Expecting overnight house guests? These recipes are sure to impress! This is a collection of recipes from other talented bakers and bloggers. To view the full recipe for each, simply click on the title of the recipe and it will open in a new window for you. For more delicious breakfast ideas, visit our special Brunch category. 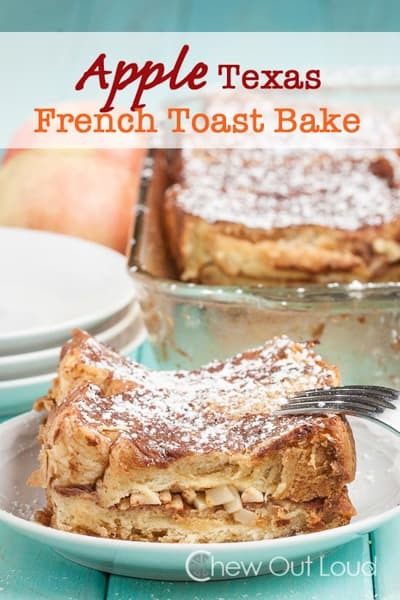 This Super Easy Coconut French Toast Bake (pictured above) by Pinch of Yum looks irresistible! A recipe this delicious can’t really be this easy to make, can it? 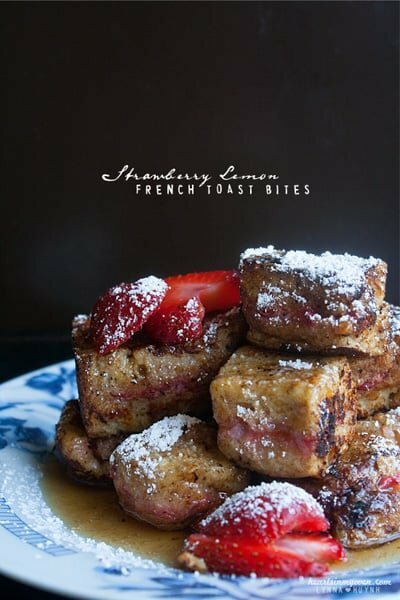 These Strawberry Lemon French Toast Bites by Hearts in My Oven would be popular with all ages – both fun to eat and delicious! 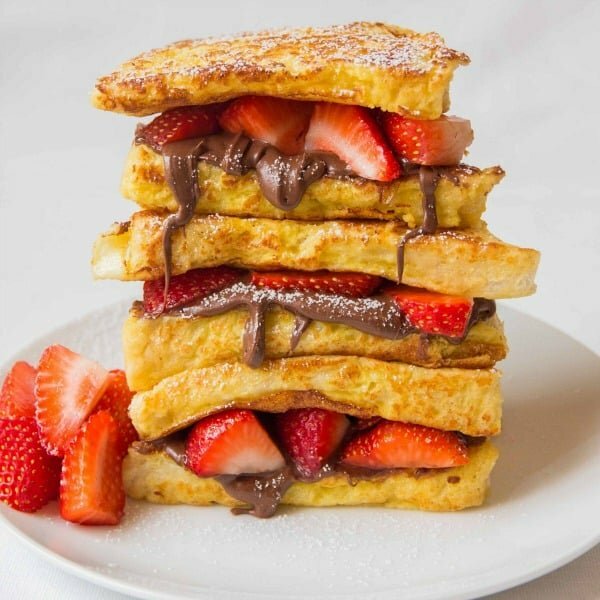 This Strawberry Nutella French Toast by Kitchen Sanctuary would be a delicious Sunday brunch treat. Save this recipe for your next overnight house guests…if you can wait that long to try it! 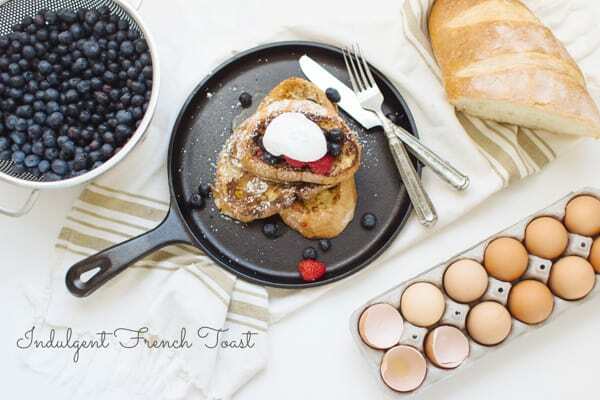 This Indulgent French Toast by The Blonde Chef looks irresistible! It’s a classic recipe full of healthy ingredients. 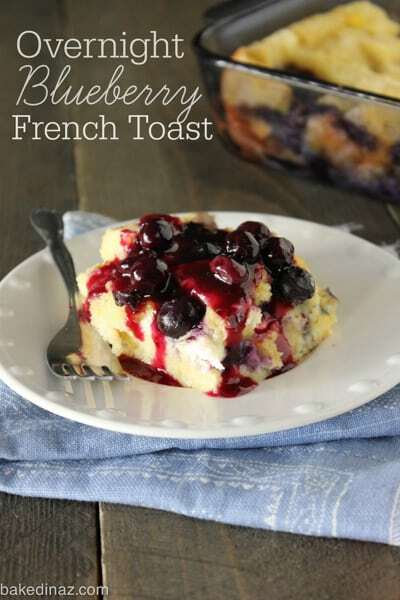 I’ve never tried an overnight recipe but this Overnight Blueberry French Toast by Baked in Arizona is on my list to try. Overnight recipes are so convenient during the holidays. 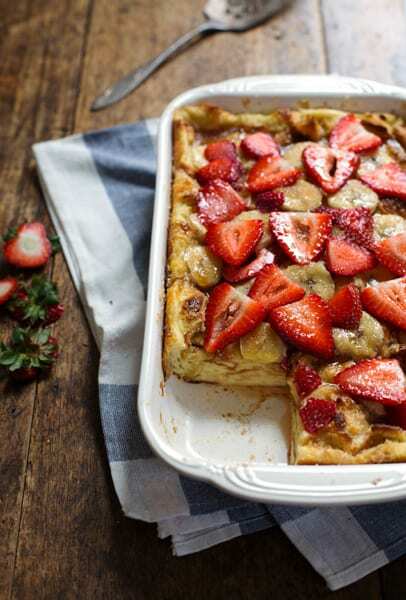 This Apple Texas French Toast Bake by Chew Out Loud looks so tasty! I can see this one turning into a new family favorite around here. 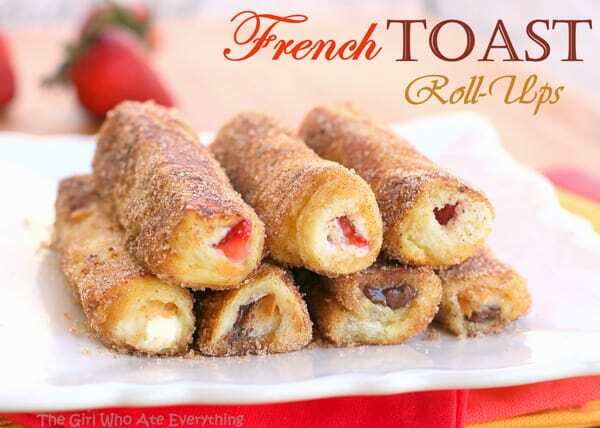 I’ve seen these French Toast Roll-Ups by The Girl Who Ate Everything floating around Pinterest for a while now and I keep making myself a note to try them. Perhaps I will this weekend! 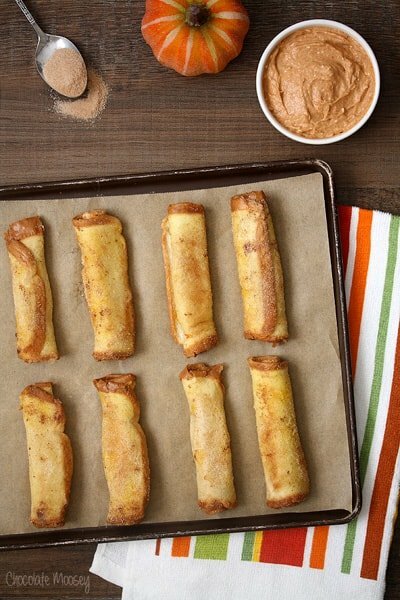 Another version of the roll-ups that looks incredibly delicious – Pumpkin Cheesecake French Toast Roll Ups with Pumpkin Spice Dipping Sauce by Chocolate Moosey. A perfect recipe for Fall that’s sure to impress. 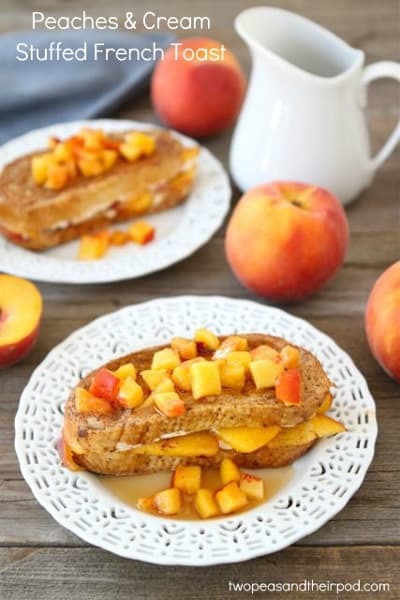 This Peaches and Cream Cheese Stuffed French Toast by Two Peas & Their Pod would be great with fresh peaches in the summer. If you can’t wait that long, grab a can of peaches next time you’re at the grocery store. 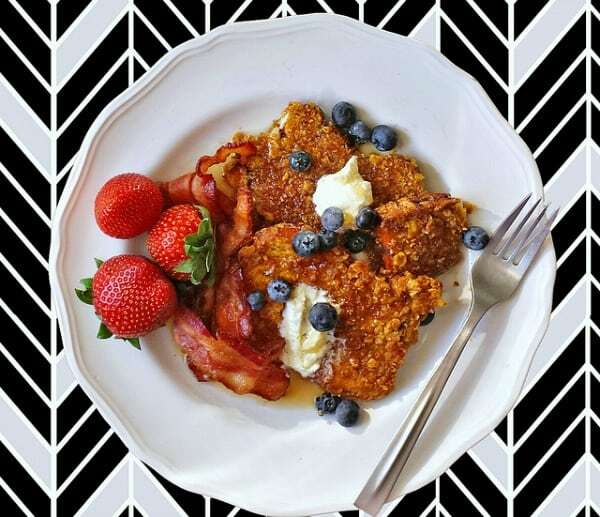 This Honey Orange Whole-Wheat French Toast by My Sequined Life looks like it is packed full of flavor. This crunchy Pumpkin French Toast with Cinnamon Sugar Cornflake Crust by Femme Fraiche looks delicious! This is a recipe that my husband is sure to love. 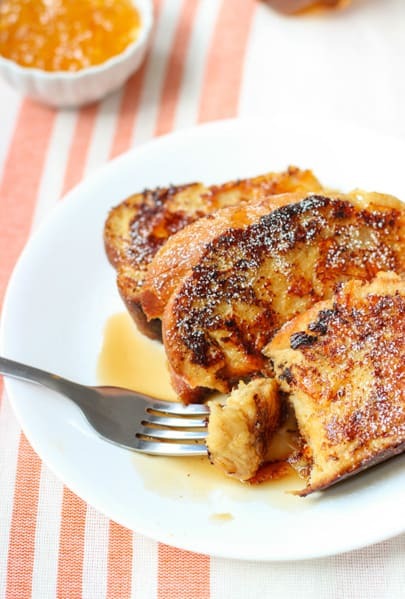 Need suggestions on what to top your French Toast with? Check out this collection of homemade syrup recipes.